In the past, when somebody mentioned Portugal, only few things came to my mind – that Portugal shares a border with Spain, its capital is Lisbon and they make Port wine. 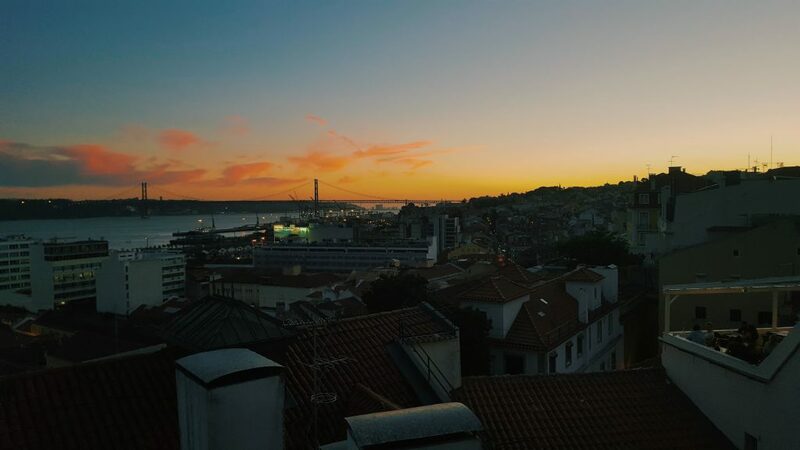 When somebody is talking about Portugal now, a different word hits me – “saudade“, a portuguese term that could be translated as a nostalgic longing to be near again to something or someone that is distant, or that has been loved and then lost. That is exactly how I feel about Portugal and especially about Lisbon now, after the past August spent there. 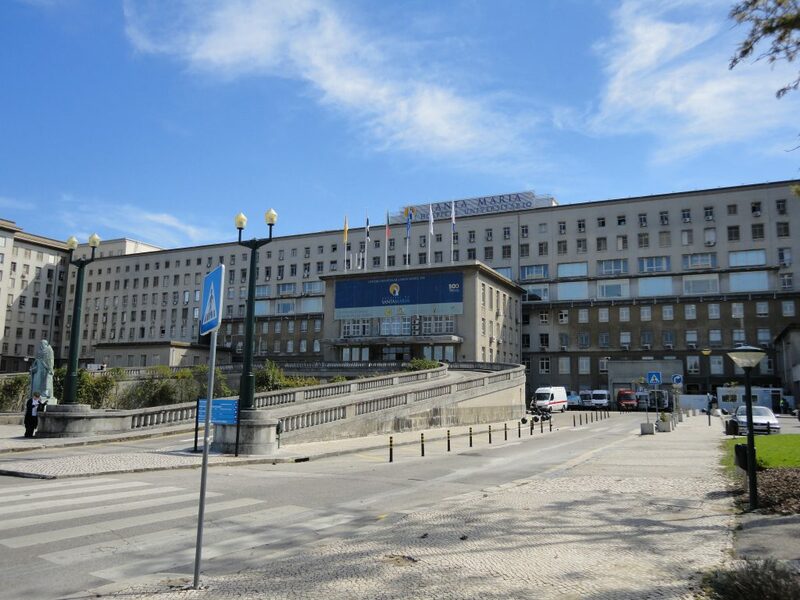 A couple months before my departure, I received an e-mail from the portuguese LEO, that provided all the necessary information about the upcoming exchange. I took a direct flight from Vienna to Lisbon. My contact person was waiting for me at the airport. I was given a welcome kit with a portuguese SIM-card and some other useful little things. Then she took me to the hostel as I came few days earlier and the residency where we were supposed to stay, was not yet available at that time. I met there with other exchange students. We spent the free time together hanging out and walking aroud the city. 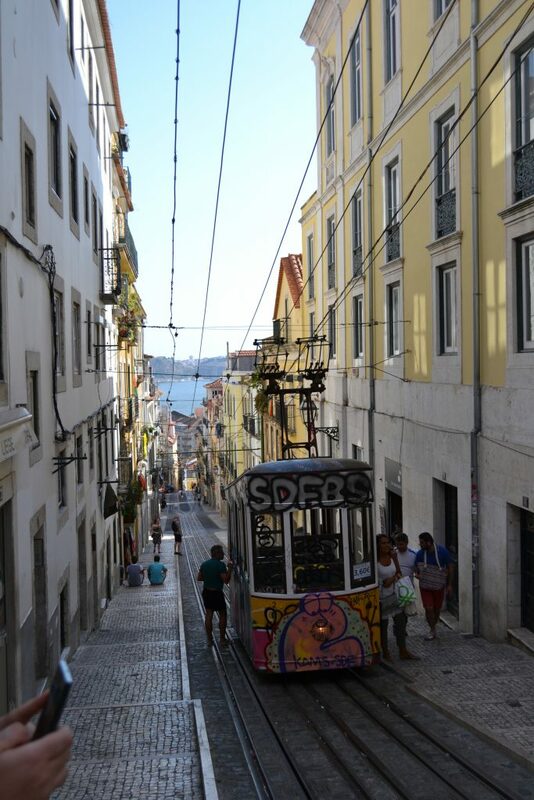 Lisbon is a beautiful city, built on seven hills, where modern meets old and traditional. The Monument of the discoveries, Se cathedral, Jeronymos monastery and on the other hand Park of the Nations and many shopping centers. The accommodation was quite good. The majority of us were staying at the Filipe Folque residency. Although the building and its furniture was older and had its own smell, it had a great location. The neighborhood was nice and the metro station was less than 5 minutes away and the hospital was only 3 stops away from the dorm . One room was usually for 2 or 3 people. Each floor had its own kitchen and 3 bathrooms. Foodwise, we got 1 meal ticket for each day in hospital. The lunches had been provided by the hospital´s canteen. The food itself was good and there were usualy 3 or 4 options to choose from, one of them was always bacalhau, a traditional portuguese fish. On the first day of the clerkship our contact persons took us to meet the doctor we were supposed to stay with for the first week. I was placed in the OB/GYN dept. Every doctor was speaking English, but the majority of time I have spent at the patients consultations, where they were speaking only in portuguese and the doctors weren´t translating it as we would like to, but they were very nice. Overall it had been a great experience. The local IFMSA group was taking excellent care of us. 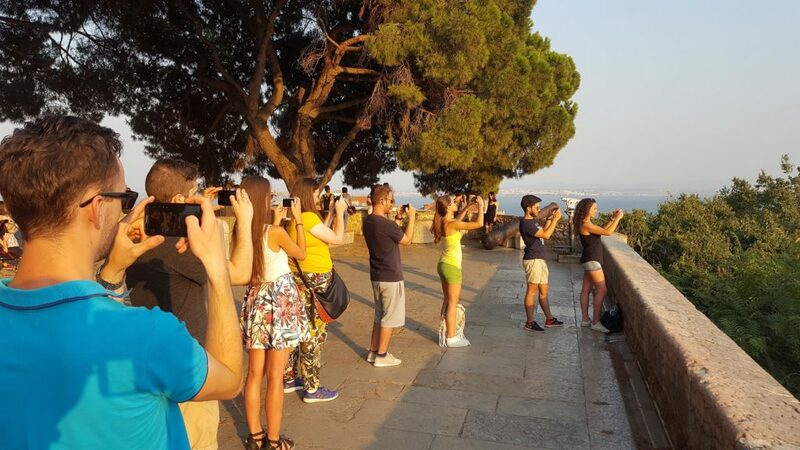 The whole social program was done very well and almost every day there was something planned for us – a weekend trip to Porto, several walking tours, pub crawl, traditional food and wine tasting dinners, a dinner with traditional fado music and many, many more activities. The nightlife in Lisbon is awesome but it starts pretty late – nobody is in the club before 1 am. You can either buy your drink of choice (for example 0,5l of sangria for 2 euros) and drink it on the streets of Barrio Alto as the locals usually do or you can get wasted in one of many bars and clubs all over the city. My favourite was the Urban Beach club. As I already have mentioned Lisbon is very hilly and the pavements are covered with slippery cobblestones even when it is not raining. Don´t bring any high heels. Food is more pricey, but not that much. On the other hand, coffee is cheap. The portuguese pastry is really good, especially pastel de nata, a puff-pastry filled with delicious egg custard. Our group was quite big, so we were always waiting for somebody. Portuguese perception of time is different. They always have time. I really enjoyed the time spent there and I would go back anytime without thinking.